Broke? Are your bills piling up and it seems impossible to get anywhere? Do you stay awake at night or wake up early worrying about the bills? 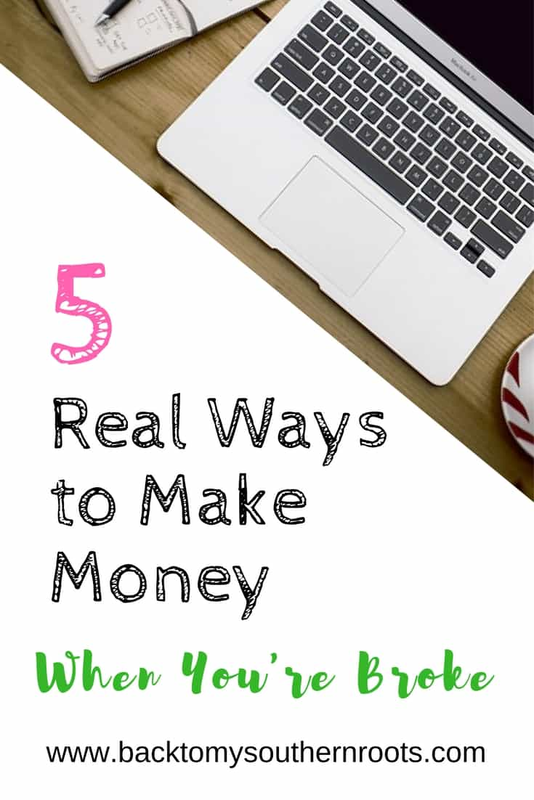 Let me share five real ways to make money when you’re broke. Being in debt is NOT fun. At all. I’ve been down that road, and it’s a scary ride. You’re not sure if you can pay your bills, and you start to plan out your meals by what new spices you can add to Ramen Noodles (try these 6 things to cook when you’re broke). There were different times in my life when finances were stretched pretty thin. It’s a struggle and not ever a fun one. It can create problems with your spouse, with your kids, and an inward struggle that can tear you up. For years I volunteered at my kid’s school. Room mom, PTA treasurer, and even front office helper. I loved every minute of it, and wouldn’t change it for the world. Our kids are only young once, right? But, I want to be able to keep doing those things and eat. Eating is good. So, what can you do? How can you make this work? It’s not always an easy task. There are hundreds of ideas out there, but in all honesty, not many really stack up and makes money. There are a gazillion ways to make money, but ninety-nine percent of them are not going to amount to much. Let me throw out a few ideas to help you get started. I started working for Shipt and so far they are a fun company to work for. The best part? You can make your own schedule. Shipt offers grocery services to people. You go to the grocery store, shop for the customer, and deliver it to their house. You will get paid a percentage of the grocery bill, plus a flat fee, and tips! One of the best things about this job is that it’s flexible. You can work any day of the week. If you need time off, you don’t have to tell a soul, you just don’t put yourself on the schedule. You can work while the kids are at school, which makes things super convenient. And, if you need a little more money to pay for something extra, you can add a few hours to your schedule. I’ve enjoyed working for them, and I’ve made some extra money to help out around the house. You’re not going to get rich, but you can definitely pay some bills. I did have to wait about a month to start working after I filled out my application and did the interview, but it was well worth the wait. If Shipt is not in your area, check out Instacart. I’m not as familiar with them, but they offer the same service. This is something I did for a short time. You might be able to sub at your kid’s school. It’s a win-win. You can drop your kids off at school and stick around and make some money. I loved seeing my kids at different times during the day when they would pass from class to lunch or recess. The kids love it, too! Get a hold of the county school office and ask how you can get started. Most of the time you will need to go through a couple of short trainings. At the school district here, you are not required to have a degree to substitute. It might be required in different areas. But, give the county a call and they will be able to tell you. I’m going to tell you now that this is not something that will put money in your pocket right away. But, if you stick to it, you will see results down the road. 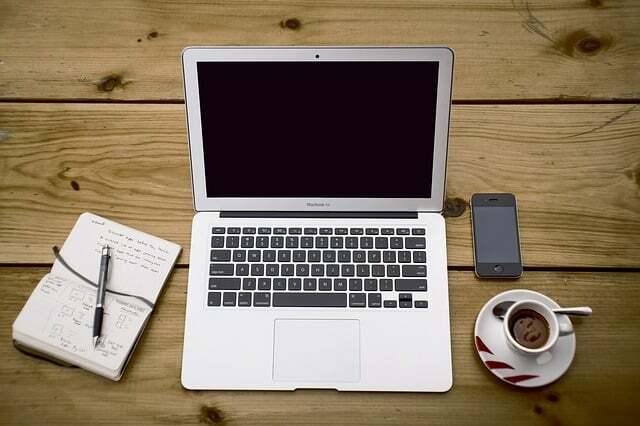 Starting a blog is more of a long-term commitment that you have to put a lot of time and energy into to see results. But, the great thing about a blog is that you are writing about what interests you. You’re telling a story from your point of view. I love having a blog. It’s a ton of fun, and guess what? I’m in charge of it! There are a couple of courses to get you started. Although Elite Blog Academy is not offered year-round, you can get on the waiting list. Elite Blog Academy. It was well worth the money. I have learned a ton, and being a part of the Facebook Group has helped tremendously. Click here to go to the site and get on the wait list. Making Sense of Affiliate Marketing. Michelle Schroeder, the teacher of the course, is amazing. She teaches you all the ins and outs of affiliate marketing. This is where a lot of your income will come from. Click here to go to the course site. 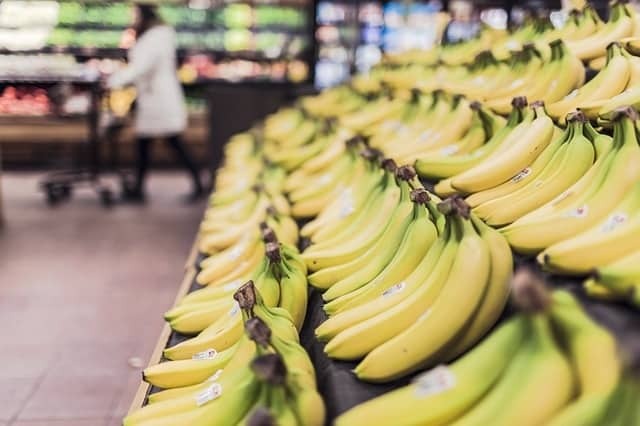 Click here to read about saving money on groceries when you’re broke. Amazon is a huge corporation and they offer a ton of jobs. There are a couple of jobs that you can choose from if you’re wanting to only work a few hours a day, or week. Amazon Flex: If you have a car, a license, and the ability to tote packages around, you can apply for the job of delivery driver. The general idea is to go to a specified location, pick up packages, and deliver them from your car. We had a gentleman stop by one Sunday afternoon delivering a package with Amazon Flex. According to their website, you can make between $18 – $25 an hour, and set your own schedule, which is great for moms needing to pick up their kids after school. Click here to go to the website. Virtual Call Center: Amazon offers virtual call center positions from home. You can drop the kids off at school and head back home to work until the kids are ready to come home. Click here to check out virtual call center jobs with Amazon. If they aren’t hiring now, keep checking back. There are quite a few ways to get ahead on bills, and be able to volunteer at the kid’s school, or make your own schedule. These 5 real ways to make money when you’re broke should help you get ahead. Let me know how these ideas work out. I’d love to hear from you! Julie, thanks so much for the list, it’s really cool that there are so many more options available to moms now than there used to be. I started a blog, I’m in EBA and I love it, but I’m also looking for good short term options. You’re welcome! I’ve loved working for Shipt so far. Super flexible and a great group of people! I love that if the kids get sick or something comes up, I can take myself off of the schedule in an instant. It’s a great way to earn some extra money. I am in EBA, as well! I’d love to see your blog. If you get a chance, share it here and then we can all go visit your blog!